May 2nd at 6:00 pm, Complimentary to Members. For more information, please contact our Fitness Director, Jacob Galloway, at jgalloway@sacdt.com. SAC Got Their Inner Rock ‘n’ Roll On! A team of members from the Seattle Athletic Club downtown location participated in the Seattle Rock ‘n’ Roll half marathon race on Saturday June 21st. The half marathon race which started and finished at the Seattle Center included 13.1 miles through various neighborhoods while runners where entertained by several musical bands along the course. The majority of members participated in the Half Marathon Training Program coached by myself (run coach and personal trainer Kendra Kainz) over the past 12 weeks in preparation for the event. The training group consisted of both new and experienced runners, of various goals, some who’ve raced before and 3 individuals participating in their first half marathon! Race morning brought lots of fun and excitement. Racers met early for pre-race support, advice and team camaraderie before heading to their corrals. Coach Kendra along with volunteers cheered and supported the team along the course. My big thanks to member volunteers; Annie Chae, Kiri Jones and Von Perkins for all the help and assistance on race day! Race day proved that training does pay off! I am so pleased to announce that our team did extremely well! The camaraderie and dedication of these individuals was a pleasure to coach and work with. I could not be happier for everyone and their individual success. Tony Shafer and Suzy Thomas on your personal record times! Congratulations Team SAC! Celebrate your success! For information on half or full run training programs or SAC Run Club, please contact run coach and trainer Kendra Kainz. Have you tried speed bag/Heavy bag training? Have you had a chance to use the boxing equipment and trainers at the Seattle Athletic Club? The training is interactive and great calorie burner. The format of martial arts is to teach you proper technique, timing, coordination, endurance/stamina drills. The calorie expenditure is awesome, if you weigh 125 and did 1 hour of speed bag/heavy bag burns 340 to 400 and if you weigh 175 and did 1 hour of speed bag/heavy bag burns 613 to 700 calories! These are great numbers for consideration, and if you add jump rope, agility, and medicine ball training the calories count grows by 100s more! A few things you need to know before you start your training. You will need a pair of boxing gloves to protect your hand from bruising, and cuts. When you use a speed bag make sure the bag is at eye level to keep punches, and strikes at a proper distance, and body positioning. You are warmed up with speed bag now let’s try some heavy bag work. Stand in front of the heavy bag with gloves on with 1 foot forward, and keeping hands up at chin level this time palms face each (guard up) and hands clinched tight. Try to punch the bag with the front hand (jab) then your back hand (cross punch) called a set. Do 10 sets then switch and do the other side of body to build muscle balance. You will find the cardio/stamina training is excellent and great therapy for stress. If you feel the technique is to challenging feel free to schedule a session with one of our martial art/boxing coaches to clean up your form. Live the life of a warrior! All swimming pools have pretty much the same rules. 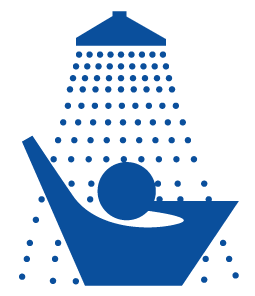 One rule in particular will be at any swimming pool you go to, that is “Please shower before you enter the pool”. This rule is there for a very specific reason. And no it’s not to annoy you. Pool chemistry can be a tricky thing. If you get in without showering your perfume, sweat, make-up and what the day has proceeded to leave on you can throw off the chemicals of the pool. You might think I haven’t been anywhere I haven’t done anything to cause the pool chemistry to go off balance. If everyone has that thought then the pool will never be clean. In order to help keep the pool chemistry in balance is that everyone showers prior to getting in. So, keeping that in mind on your next visit to the pool please remember to shower before you get in. Mobility is the ability of a joint to move in a functionally adequate range of motion. It is the foundation of movement ability because it allows your body to be comfortable in stable positions. Mobility is the opposite of the stiffness, tightness and restriction that many of us experience everyday. I have noticed several lower body “hot spots” in SAC members lately. Ankles, knees, hips and even upper backs (thoracic spine) are commonly tight which leads to difficulty in squats, jumping and sports. Many people assume that these malevolent joints are caused by muscles being too short but mobility is actually much more complicated. Mobility is in part determined by nervous system control of all the tissues surrounding a joint which means that increasing mobility at a joint really depends on changing the neuromuscular system. 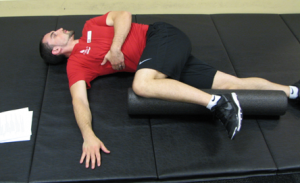 The bad news: this means that passive stretching will probably not make a long lasting improvement. The good news: using smarter mobility exercises can help you overcome immobility in as soon as 2-4 weeks of consistent practice. Genuine Movement is a program that teaches great movement ability in a semi-guided format. Here are some Genuine Movement mobility drills to get you moving naturally and spontaneously. Please contact Hunter Spencer at Hspencer@sacdt.com with questions or for more information about Genuine Movement. Please contact Personal Fitness Trainer Hunter Spencer with your questions. As fitness professionals, we are often approached with the question of what is the best, most efficient way of analyzing body fat. There are only a few methods that are applicable in a gym setting: circumference measurement, electrical impedance, and skinfold analysis. Both circumference and electrical impedance have a larger percentage of error, so the blog will compare the accuracies of the Durnin-Womersley four-site skinfold and the Jackson-Pollock seven-site skinfold. While other methods for skinfold measurement exist, these are the two most commonly used. For our research, we will use six individuals of varying gender, body size, age, and shape to compare the different methods. According to our anthropometric findings, the variation between the four and seven-site, is greatest in females and the largest differential occurs with age. The four-site has a larger fluctuation with older females and this is supposed to account for lower body density resulting in more visceral fat accumulation. Fifty to Seventy five percent of fat is subcutaneous, thus the difference in estimate between methods can only be proportional to the remaining body weight. According to the American Journal of Clinical Nutrition, select skinfold equations can have a marked overestimation of body fatness. The Jackson-Pollock seven-site skinfold test is known to be more accurate because of the formulation, variation, and quantity of sites being used having a relatively low margin of error in comparison to hydrostatic weight of only 3.3% inaccuracy. A lot of individuals have differing shapes in the lower body region, and none are included in the Durnin-Womersley skinfold test, making it more reliant on estimation. Regardless, periodic skinfold measurements will give a reflection of change despite the estimate of body fat percent. In other words, doing regular skinfold measurements will still show changes that are occurring. If you would like to check body fat measurements or have further questions, please contact either Amber Gruger or Amber Walz. Tank tops, swim suits, strappy sundresses – warmer weather is just around the corner and that can send even the fittest women into a frenzy! Not only do you want to get your body in top, toned shape, but you also want to be ready for anything the season might toss your way. Stand tall with your heels against the back edge of the mat; toes turn out to the Pilates V.
Exhale and walk your hands out onto the mat until your palms are beneath your shoulders and your heels over your toes. Your body will be in a Plank (or Push-Up) position – a straight line from head to ankles. Perform 3 Push-Ups with the elbows into the sides of the body. To come out of the Push-Up, fold up in half, bringing your chest toward your legs; pressing your palms and heels into the mat. Pull your navel in and give yourself a gentle stretch. Inhale, walk your hands back toward your feet; trying to keep your legs straight. Exhale, roll your body back up to a standing position and repeat 2 more sets.